ILI first took place in London in 1999. For many people, the film highlight of that year was sci-fi classic The Matrix, while pop music lovers will remember Britney Spears introducing herself to an unsuspecting world with the ubiquitous ‘...Baby One More Time’. The first dot com bubble was in full swing, and file sharing site Napster debuted. Google and Amazon were established, but not yet global behemoths. SMS texting was just taking off, but social media had yet to transform information sharing and seeking behaviours -- YouTube, Facebook, Wikipedia, smart phones and tablets were several years away. Open access was yet to become a reality. Back in 1999, few could have predicted the incredible changes that were to come. In putting together this year’s conference programme, we’ve been mindful of this history – but the conference theme ‘Celebrating innovative libraries and info professionals’ looks to the future, by sharing the many ways in which libraries and info pros from all sectors are creating ground-breaking and imaginative services that deliver real impact. ILI’s keynote speakers expand on this year’s theme. Opening keynoter Katherine Skinner is the Executive Director of the Educopia Institute, a US-based non-profit run by a small group of individuals with a passion for building communities, connecting like-minded people, and using collective action to advance libraries, archives, museums, and publishers. In her keynote ‘Cultivating knowledge communities’, Katherine will share stories about how impact becomes magnified when institutions band together – and encourage delegates to align our actions to make system-level changes that favour knowledge and memory. ILI’s day two keynote will come from Martin Hamilton, the resident futurist at Jisc, the organisation that provides digital solutions for UK education and research. Martin’s job is to keep an eye open for emerging trends and new technologies, and see what can be done to exploit and embrace them – or to mitigate against them. In his keynote, Martin will be taking an in-depth look at some of the major trends in digital technology - including AI, blockchain, data driven decision-making, and open research practice. How will they impact library customers, organisations and information work? And what’s emerging from the research lab that will change knowledge and information services in the future? Why the scholarly communications landscape is changing and what this means for information professionals. In addition, there are informal activities for all at ILI Extra, including one hour mini-workshops, a pop-up ‘Glass Room’ workshop, live podcasting, an invitation-only workshop specially designed to give new info pros the chance to join in with the ILI experience, industry association social events, and a Sponsor and Supporter Showcase. The full programme for ILI is now available, and early bird registration is open. 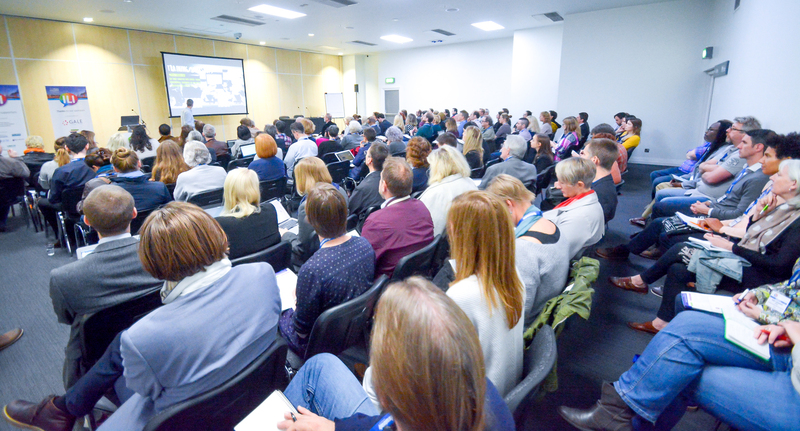 There are discounts on main conference registration fees for members of a wide variety of professional associations, and for multiple delegates from the same organisation.